AxePaxe is the ideal companion container for any guitar player. Ratio defined portions of the container to serve the user at different stages of guitar play. AxePaxe is the ideal companion container for any guitar player. Ratio defined portions of the container to serve the user at different stages of guitar play. 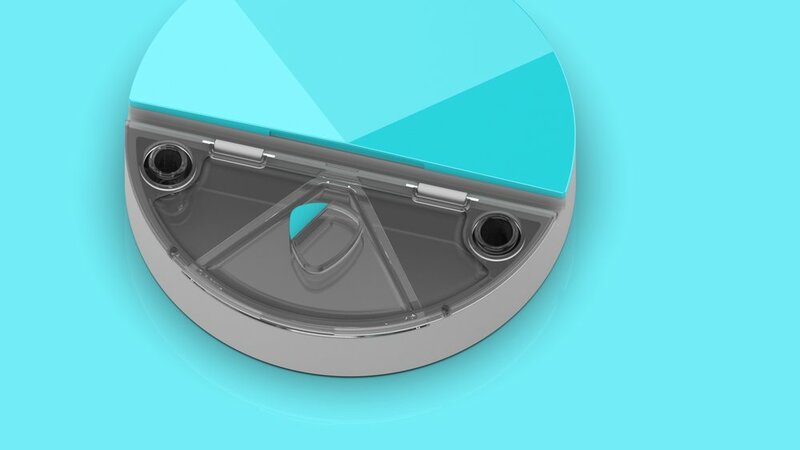 The device allows a user to access picks and slides easily from the recessed tray on the front portion, keep up with picks only on the pick tray inside the front lid. We can also store guitar maintenance accessories and strings in the rear portion of AxePaxe. In between the storage is a slot which holds a tablet at the perfect angle to read sheet music, view a tutorial or collaborate with other musicians.